Point Wilson Dawn. Original painting in acrylic on canvas, 24 x 36 inches. SOLD. 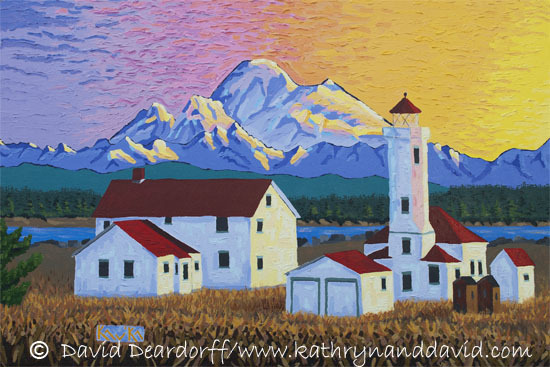 Mount Baker is awash in alpenglow as the rising sun lights up the Point Wilson lighthouse at Fort Worden State Park in Port Townsend, WA.